Homemade Baby Food Blogs List. The Best Homemade Baby Food blogs from thousands of top Homemade Baby Food blogs in our index using search and social metrics. Data will be refreshed once a week. 2.18 Love Child Organics | Organic Baby Food Recipes, Kids Tips & More! Baby Food newsletter is a comprehensive summary of the day's most important blog posts and news articles from the best Baby Food websites on the web, and delivered to your email inbox each morning. To subscribe, simply provide us with your email address. About Blog Baby Bullet’s baby food-making system includes all the information, instruction, and tools needed to make and store a week’s worth of homemade baby food in minutes. From the Batch Bowl and Power Base to the Easy Pop Batch Tray; from the serving spatula to the Date-Dial storage cups and lids, every tool included in the complete 20-piece set is designed to simplify feeding. Facebook fans 761,029. Twitter followers 36,360. About Blog My name is Michele, and I am a complete control freak - which I am working on, thank you very much. I am also a lover of food, of course. Here you will find Organic baby food recipes to inspire adventurous eating. Facebook fans 9,875. Twitter followers 257. London About Blog Annabel Karmel is the UK's best-selling parenting author and leading food expert on feeding babies and toddlers. A mother of three, she has been hugely influential in her imaginative approach to creating healthy food that also tastes good. She was awarded an MBE for her outstanding work in the field of child nutrition. Facebook fans 200,347. Twitter followers 24,488. Pella, IA About Blog Yummy Toddler Food is a site geared towards feeding little ones aged 1-3, with recipes and feeding tips just for them. The food is family-friendly and accessible though, so the whole family will enjoy it too. Facebook fans 19,531. Twitter followers 2,125. About Blog My name is Christine Albury. I began making my own baby food as soon as she started solids, which was actually considered a bit unusual back then! But, gradually, my skeptical Mum friends began asking me what I used in my baby food recipes and giving my ideas a try. And it was wonderful to hear that they were really enjoying making the food, their babies were enjoying eating it. Facebook fans 96,660. Twitter followers 2,014. Adelaide About Blog Mum Central is Australia's Premier Lifestyle Hub for Women, Parenting and Lifestyle, Beauty and Fashion, Food, Travel and Great Giveaways. Facebook fans 293,230. Twitter followers 1,903. Facebook fans 32,708. Twitter followers n/a. About Blog Easy Baby Meals is a place where you will find Organic Homemade baby food ideas, then this is the place for you. Here you can find recipes and ideas on preparing your own baby food in the comfort of your kitchen. Facebook fans 3,765. Twitter followers 1,690. About Blog Cooking for my baby is a blog of baby food recipes. As a young mum, who love to cook, I have decided to share all my baby food recipes (baby purees, baby fruit purees, baby soups…) and also little bit of tips and advices . Facebook fans 18,616. Twitter followers 65. Facebook fans 20,246. Twitter followers 62. Facebook fans 13,757. Twitter followers 605. Texas & California About Blog I'm a 3x cookbook author who writes books (and a blog!) all about how to cook for two! Mainly small batch desserts for two, but drinks and dinners, too! Facebook fans 92,300. Twitter followers 9,690. Scottsdale, AZ About Blog Feeding Littles is a video-based online course that helps parents raise healthy, happy eaters and prevent - or reverse - picky eating. Let our feeding pros (and real moms) help you take back meal time! Facebook fans 5,780. Twitter followers 259. UK About Blog Hi there…I’m Zainab. I’m mum to a little angel born in 2011, author of three Asian-themed weaning cookbooks, I’m a blogger and freelance marketing consultant living in Leicester. Facebook fans 4,722. Twitter followers 1,597. 18. Love Child Organics | Organic Baby Food Recipes, Kids Tips & More! Facebook fans 32,805. Twitter followers 2,699. About Blog Amara Is A Top Rated Baby Food & Is The Best Solution To Homemade Anywhere, Anytime. Amara Uses The Best Technology To Keep Vitamins & Nutrients Locked In. Here you will find Must Know Tips & Advice For New Moms & Dads Including Feeding, Nursing, Baby food, Fun & More! Facebook fans 3,660. Twitter followers 1,171. United Kingdom About Blog Friendly first foods - mummy blog all about feeding our little foodie. We offer advice on baby led weaning, healthy food for toddlers and useful meal plans. A lazy mama sharing quick, easy and healthy recipes suitable for babies from 6 months. Facebook fans 5,706. Twitter followers 543. San Diego, CA About Blog Fortified Family is your online destination for food and nutrition tips and tools that make good food fun for busy families. We are big baby led weaning fans and love sharing baby led feeding food tips and recipes. Our focus is on a baby or child led approach to feeding. Facebook fans 1,396. Twitter followers 34. Calgary About Blog Jennifer House is a Registered Dietitian, mom of three and owner of First Step Nutrition in Calgary, Alberta. Jennifer works with moms to help them nourish their growing families with confidence! Whether it's dealing with mealtime struggles, starting Babyled Weaning or getting organized with meal planning. Facebook fans 3,573. Twitter followers 1,152. Singapore About Blog My name is Rachael and my family are my world. I am a Mummy who is very passionate about nutrition, fitness and Baby Led Weaning. I started this website because there is very little information out there about BLW and what is available can be conflicting about when and how to introduce solids. Facebook fans 2,136. Twitter followers 132. Michigan About Blog A food blog with healthy gluten-free recipes that will delight your friends and family. Facebook fans 935. Twitter followers 300. Colorado, USA About Blog At Baby Formula Expert, we educate parents about baby formula and infant nutrition, to help them feel confident in the decisions they make for their baby. Facebook fans 1,072. Twitter followers 168. Nigeria, Africa About Blog Nigerian blog for baby & kid-friendly food ideas. Baby recipes include purees for introducing baby to solid food, mashes for later feeding to encourage chewing, as well as finger foods for snacking. Facebook fans 9,741. Twitter followers 236. About Blog A Baby Toddler Foods Blog. London, England About Blog I'm Brandy, the mama behind Little Gourmet, and this is wee man, who is my little gourmet. We started our baby-led weaning journey in 2014, when wee man was just over six months. Feeding time quickly became our favourite part of the day - just me and him, sat together, enjoying some lovely grub and 'conversation'. Facebook fans 1,459. Twitter followers 431. Abu Dhabi, United Arab Emirates About Blog I am Madhumitha. This blog is mostly me giving a lot of unsolicited advice about various things that this ‘adulting’ thing that they call parenting has introduced us to. I also share recipes, product reviews, and other useful things/ideas to make life easier. Here you will find posts about Baby Led Weaning. Facebook fans 2,251. Twitter followers 2,208. New York, USA About Blog Hi! I’m Kanchan and I want to demystify healing spices for you and your families. My Mission is to help you feed your babies, kids and families delicious nutritious food incorporating ancient, health-boosting spices. UK About Blog I started this blog when I was first introducing food to my baby daughter.I found that baby brain & lack of sleep made it hard to think about what to cook every day so I decided to keep a record of recipes that I liked and worked well for our new little family.The idea was to create healthy & tasty recipes that could be adapted to cook for babies and toddlers as well. Facebook fans 204. Twitter followers 32. Australia About Blog Food Babies Love is a collection of recipes, anecdotes and tips to help overcome some of the nerves associated with introducing solids to your baby. It is not designed as an A-Z of nutritional guidelines, but rather a practical approach to a big and important job all parents have to undertake. The recipes are baby-friendly versions of well-known family favourites. Facebook fans 9,981. Twitter followers 72. About Blog My name is Jess and I live in Glasgow with husband Dave and our toddler son Eli who we weaned using the baby led weaning method (and continue to feed along the same lines now he’s an occasionally-picky toddler). Here I'll be sharing chat, advice and recipes for families doing baby led weaning. About Blog ProjectNursery.com offers readers a rich photo gallery of projects submitted by parents & designers, hip finds for the family home, do-it-yourself crafts, clever party ideas, expert design tips, fabulous weekly giveaways and much more! Facebook fans 153,084. Twitter followers 30,940. Anchorage, Alaska About Blog Bambino's Frozen Baby Food is the next generation's baby food. At Bambino’s, we strive to provide nutritious and tasty quality. Our recipes are inspired by leading research and supported by pediatricians and allergists for allergy prevention, nutrition, and superior flavor. Facebook fans 1,462. Twitter followers 295. Facebook fans 32,191. Twitter followers 13. New Hampshire About Blog Make Baby Food With Love and Wholesome Foods. Facebook fans 2,163. Twitter followers 242. About Blog My name is Jen & I am a first time mommy to Lillian! Lillian was born in October 2016 and we began our baby led weaning adventure in April! We love cooking, trying new recipes & exploring different foods! BLW has changed the way we eat & I am so happy that Lillian will grow up to have such a positive relationship with food! About Blog Bumps n Baby is the leading parenting blog in India catering in terms of baby food recipes, month wise food , baby n mom care, weight loss, diet and nutrition to name a few. Facebook fans 20,279. Twitter followers 654.
kent About Blog Hi I'm Kris. In this blog you will find posts on child development,baby led weaning and product reviews. Facebook fans 306. Twitter followers 1,811. About Blog Hi, My name is Crystal Waston. I am a mother of three wonderful children. I started MakeYourBabyLaugh! to help parents who are struggling to raise their children. I hope that my experiences in child-rearing can inspire and help parents overcome their parenting struggles. About Blog OrganicBabyFoodGuru.com is a blog developed to provide information on feeding children wholesome and organic foods. The idea for the blog has been in the works for over a year now and it has now become reality. After several weeks of long hours and going over designs with the web designer it has become a reality. Facebook fans 4,614. Twitter followers n/a. About Blog An honest and informative baby food blog about making your own meals, snacks and treats, ensuring your little ones are nourished for optimum development. Here you will find some simple tips, unique experiences and heaps of information about nutrition for babies and toddlers. About Blog Happy Tummies creates healthy, organic snacks and meals for a wide range of foodies. 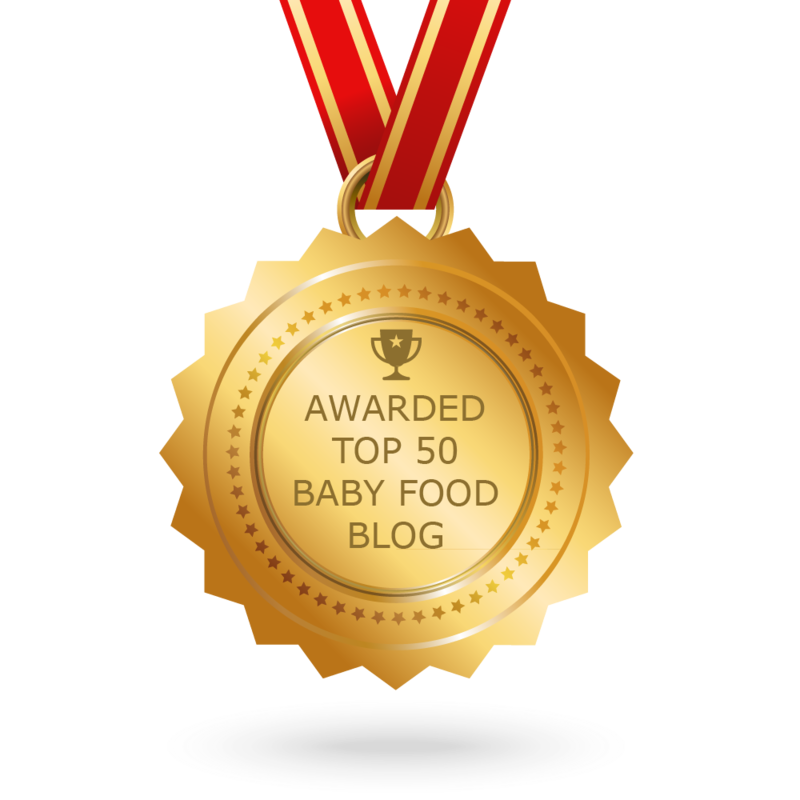 CONGRATULATIONS to every blogger that has made this Top Homemade Baby Food Blogs list! This is the most comprehensive list of best Homemade Baby Food blogs on the internet and I’m honoured to have you as part of this! I personally give you a high-five and want to thank you for your contribution to this world.